At the Dublin Gestalt Therapy Centre our skilled psychotherapists offer a range of different therapies dealing with a wide variety of psychological emotional, social or work related difficulties that people may experience at different times in their lives. We provide Counselling and Psychotherapy Services for individuals, couples and families at different stages in their lives particularly when they are experiencing emotional and psychological difficulties. We provide Clinical Supervision, Professional Consultation and Mentoring for Psychotherapists, Psychologists, Social Workers and Allied Healthcare Professionals. This service is provided for both individuals and groups. We provide training courses and workshops in both Gestalt Therapy ad Gestalt Supervision for Counsellors, Psychotherapists, Psychologists, Psychiatrists, Social Workers and other Allied Healthcare Professionals. This diploma course in Gestalt Supervision offers a Gestalt Process model of supervision and has been designed to meet the training requirements as proposed by both the IACP and IAHIP for accredited supervisors. Certificate Course Working with the Gestalt Process. 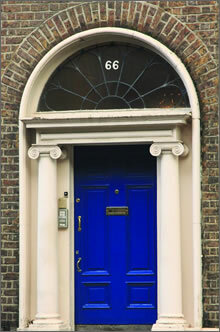 The course will provide a unique opportunity to experience and to begin to put into practice the creative Gestalt approach developed by Netta and Marvin Kaplan of Israel and by Vincent Humphreys, Dublin. 2018 -2019 now taking bookings.